In about a month, Google is going to release a game on Google+ based on Google Maps and built using WebGL (Sorry IE users). 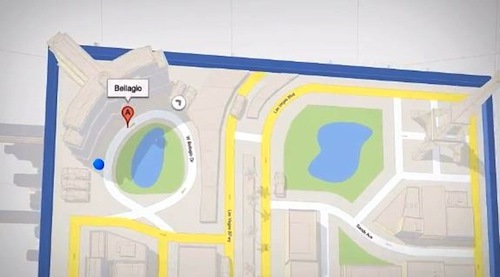 …there’s a video preview of a new Google Maps for Google+ app shown below which uses WebGL and apparently user-location to collect points as you travel around floorplan maps. Full details haven’t been shared, but the game will apparently arrive in February. Now the video doesn’t show much about the details for the game but navigating a 3d mapping world (using the Google Maps API) in a WebGL application in a browser is pretty awesome. Plus going inside and outside the buildng? Sign me up! Looks like fun to me, but we’ll have to wait a month. It is a shame about WebGL support not being exactly cross-platform, but with a little work you can get it enabled on any browser. Cools stuff is on the horizon with 3D web mapping applications.